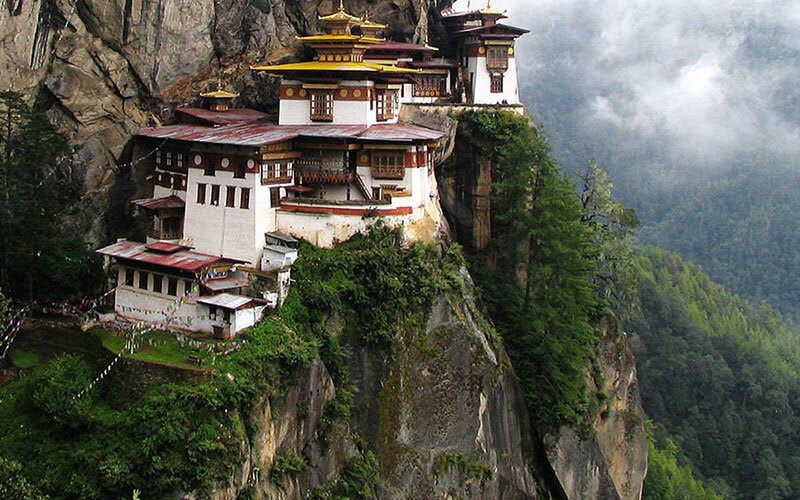 Covered and camouflaged in mystery and magic, Bhutan is the last great Himalayan kingdom. Not an ordinary country, Bhutan has a deep rooted traditional Buddhist culture, which has been meticulously developed to embrace globalization. Consequently, this the only place in the world that measures Gross National Happiness not Gross National Product. The place and its people are unique, both culturally and environmentally. Perched high in the Himalayas, this is the only surviving Buddhist Kingdom, ruled by King & his ministers. This deeply Buddhist land holds many surprises for the travelers. The land meets both, ancient & modern and this is what makes the place fascinating. Picturesque landscapes, snow-cladded Himalayas, primeval forests, majestic dzongs and monasteries, spectacular tsechus (dance festivals), and different cuisine where rice is red and chilies are a vegetable for curry not a spice. Furthermore, the handicrafts and textile allures every art lover. The place is not only about Buddhism or Mighty Himalayas, it is a sought after destination for high-altitude trekking and other adventure sports. 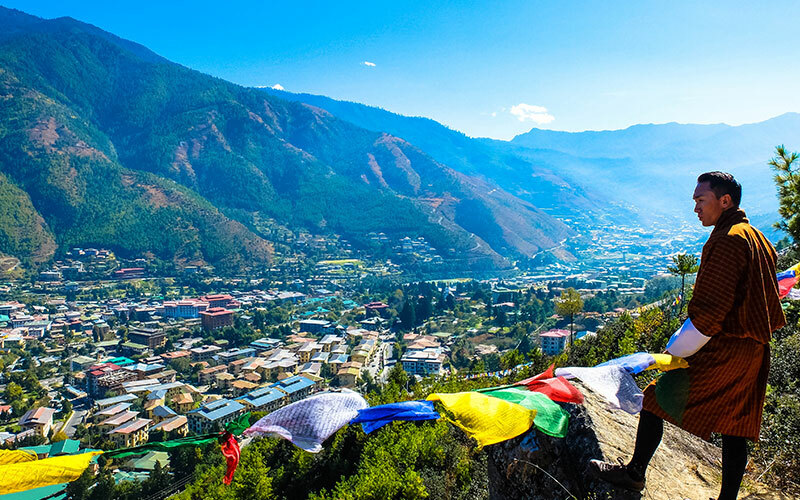 Perched amidst the mighty Himalayas, Bhutan is a place worth visiting. 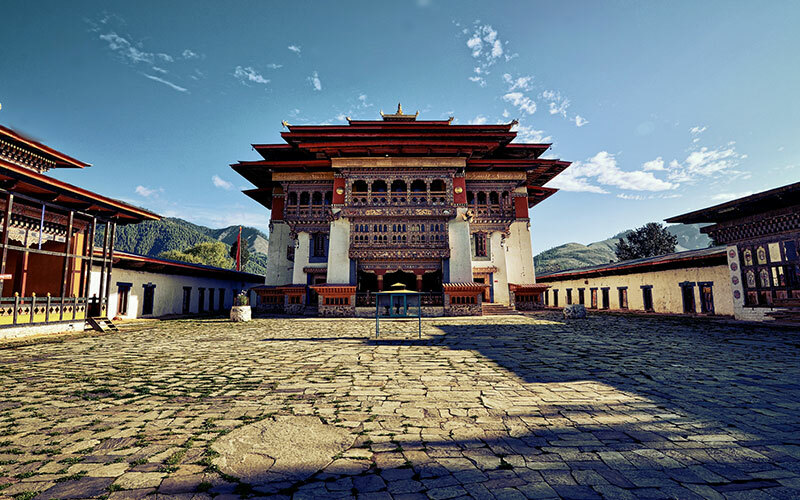 Making this a viable deal, Max Holidays brings forth this 7 days Bhutan Breakaway package. Your itinerary will cover destinations such as Paro, Thimphu, Punakha, Wangdue and Phodrang. Though Bhutan has limitations on inflow number of tourists, nevertheless it’s a place where people are welcoming and warm. They holds tight onto their unique customs and traditions, and this enables them to retain the charm of their old world passionately unlikely any other country. In the morning enjoy your leisurely breakfast in the hotel and take a sightseeing tour of Paro visiting the famous Rinpung Dzong which houses the monastic body of Paro, 17th century Ta Dzong (now National Museum), Drugyel Dzong (Victorius Fortress) District Administrative headquarter, Paro district court and the oldest shrine of Kyichu Lhakhang. Overnight stay at your hotel in Paro. After breakfast drive to Thimpu which serves Bhutan as the capital city. 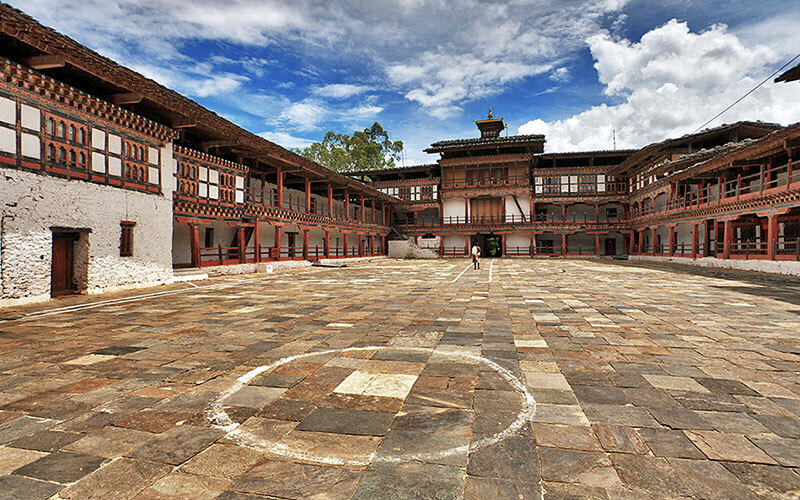 Thimpu is one of the fastest growing cities of Bhutan and still holds the old charm in its traditional architecture. On reaching Thimpu check into your hotel and start sightseeing tour visiting the Memorial Chorten which was built in 1974 in the memories of the third king of Bhutan His Late Majesty Jigme Dorji Wangchuk. During the sightseeing also visit the Handmade paper factory and Handicraft Emporium. Spend leisurely time exploring the local markets by walk, Night stay in the hotel at Thimpu. Today we will stay at Thimpu to explore more of Thimpu, perhaps the most unusual capital in the world. After breakfast visit Tashichho Dzong (the throne room of His Majesty the King of Bhutan) situated on the bank of the river, visit the beautiful and only golf course of Bhutan with nine hole circuit. The golf course is very picturesque. Later also explore the National Library, Thangka painting school and Traditional Medicine Institute. Night stay at Thimpu hotel. This morning take a slow drive through zigzag hills from Thimpu to Punakha valley. While driving to Punakha make a stop of Dorchu La Pass (3150m) for some spectacular scenery of Eastern Himalayan Mountains. Stop here and enjoy some hot tea. Continue drive to Punakha and check into the hotel. In the morning visit the Punakha Dzong and drive to Wangdue Phodrang which is situated at a confluence of two rivers. On the way visit Chimi Lhakhang temple dedicated to Lama Drukpa Kuenley known as a Divine Madman. Drive back to Punakha to spend leisurely time amidst the natures best kept mountains. After breakfast drive to Paro International airport to board flight to next destination.